Tamsyn Trevorrow is inspired by the beautiful yet rugged coastal landscapes of her native Cornwall. Her beautifully-rendered ceramics recall the interaction between land and sea, taking on the forms of that ever-changing landscape that has been sculpted by the elements. Moulding the shoreline’s twisted natural forms into stunning pieces of ceramic sculpture, the works echo the curl of crashing waves and the contorted shapes and textures of weathered shells. 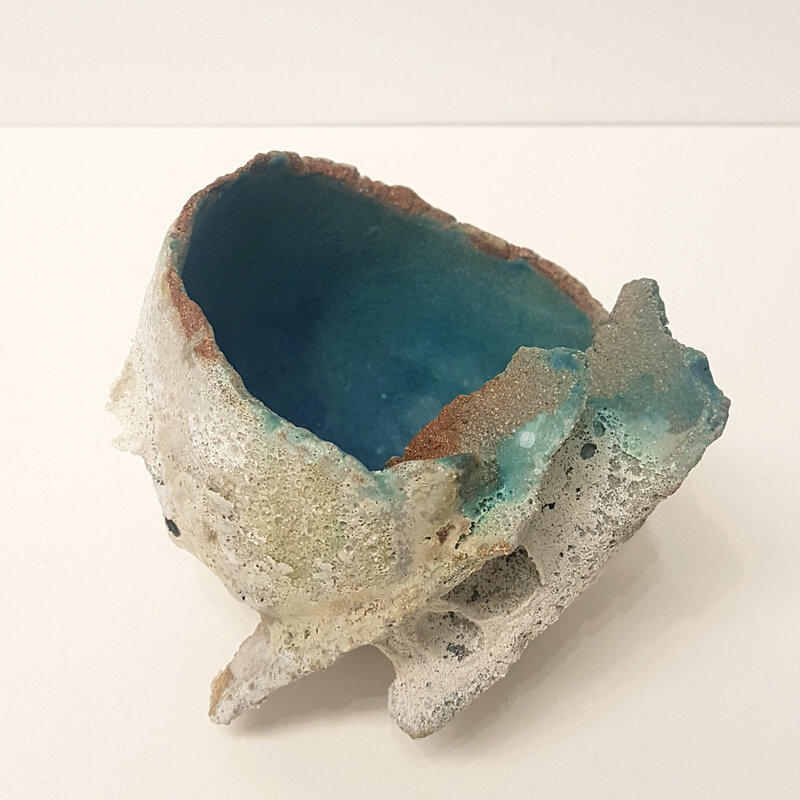 Gorgeous cobalt, jade and turquoise slips and glazes line many of her works, giving a glimpse of deep oceanic blues and greens within the encrusted, shell-like outer forms of the bowls. Both the growth of shells and the curling waves contain within them spiralling forms that find their way into much of Tamsyn's work. This simple yet powerful motion, and its connotations of regeneration and movement, gives the pieces a wealth of life and vibrance that is rarely seen in ceramic sculpture.. Her works are built by hand with a heavily grogged stoneware clay, adding and removing sections as they evolve, and suit being shown both inside and outside.